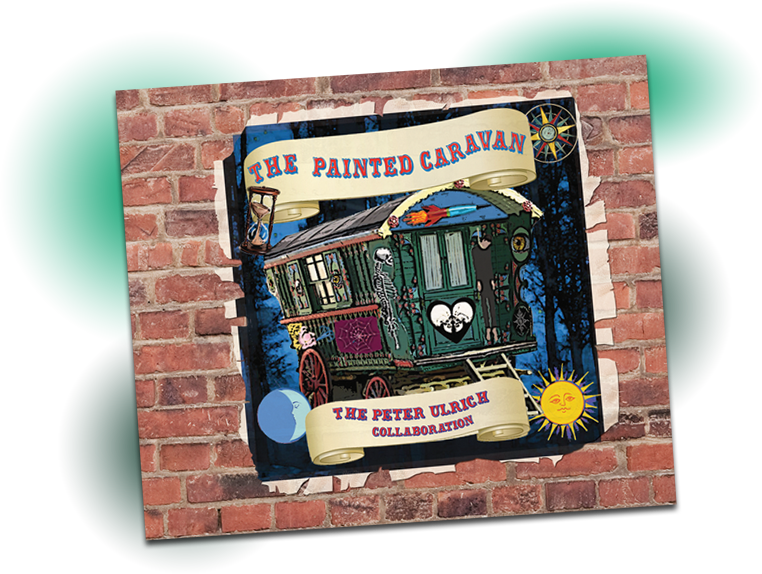 CD REVIEW: The Peter Ulrich Collaboration, "The Painted Caravan"
This very interesting album is credited to The Peter Ulrich Collaboration, instigated and led by the original percussionist for Dead Can Dance. Here, Mr. Ulrich is multi-instrumentalist, singer, songwriter, aided and abetted by a sizeable cast of musicians and singers. The two main vocalists for The Painted Caravan, the debut release from this ensemble, are David Steele and Sara Wendt, although there are leads taken by Mr. Ulrich and Jen Elliott). It’s a mixed bag of traditional English/Irish folk, some very American sounding (think: R.E.M. at their best) hooks and melodies – a broad piece of work. The album’s opening cut, “In This Or Other Skin”, you can hear how much of an ensemble this is – a rich collaboration of musicians deliver a dramatic rootsy, folk-feel with some very nice vocals; “Dark Lover” (which is sung by Ms. Elliott) reminded me of the earliest works of The Incredible String Band. “The Secret Gardener”, sung by Mr. Ulrich, reminded me of R.E.M. (as stated before) but with neatly-eerie twists. “Hanging Man”, sung by Ms. Wendt, has the traditional Irish feel, especially with its melodic structure and use of tin whistle. “The Desert” is a quasi-psychedelic piece – in the vein of “Mind Gardens”; “Love’s Skeleton” (sung by Mr. Steele) is a warm, almost-Middle Eastern feeling track with some great guitar figures weaving in amongst the song’s acoustic body. Overall, a riveting and intriguing album. The Painted Caravan is an apt title; a band of musical diversity and influences.